On any dry patches on your skin, just rub some of this on regularly, especially on knees and elbows, and you will be smooth and free from hard dry skin. If your baby has dry skin or cradle cap, pop a bit of this on and it’ll really help clear it up and moisturise the area. Plus it’s fragrance free so won’t irritate. This is a beautiful skin cleanser that feels so gentle and nourishing on your skin and I love using it in the winter-time. It removes every trace of my makeup, including eye makeup and I find that using the Clarins suction method of removal really works and helps take away all the grime your face might collect during the course of the day (not just makeup!) You basically rub the lotion together in your hands, apply to your face and cup your hands over your face and quickly remove them in a “suction” action then remove with damp cotton wool and there you go, clean skin! I’ve spoken about this gorgeous skin toner on the blog before, I really am in love with it. It’s alcohol free and removes all the last traces of grime from your skin without drying it out and gets it really clean. Fantastic product. 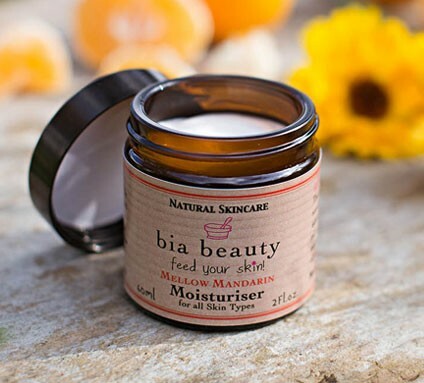 Again for winter skin, you can’t beat this moisturiser from natural Irish skincare company Bia Beauty. It’s super nourishing and really feels like it’s protecting your skin. Plus I love the size of the jar – 100mls – which means it lasts ages. Again, if you’re a regular reader here, you will know this is my “wonder product”. I just love what this does to my skin, it exfoliates using AHA’s to gently strip your skin of dead skin cells and other impurities without drying it out. 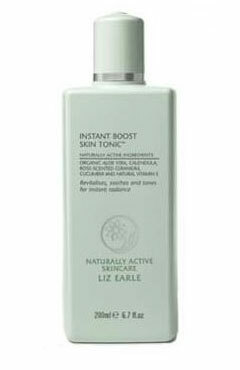 It renews your skin and gives you a fresh smooth base for your moisturiser or serum to really sink in and do it’s work. Plus you look more radiant and have a perfect base for makeup, what’s not to love there?! Cocoa Brown Tan’s First Birthday! 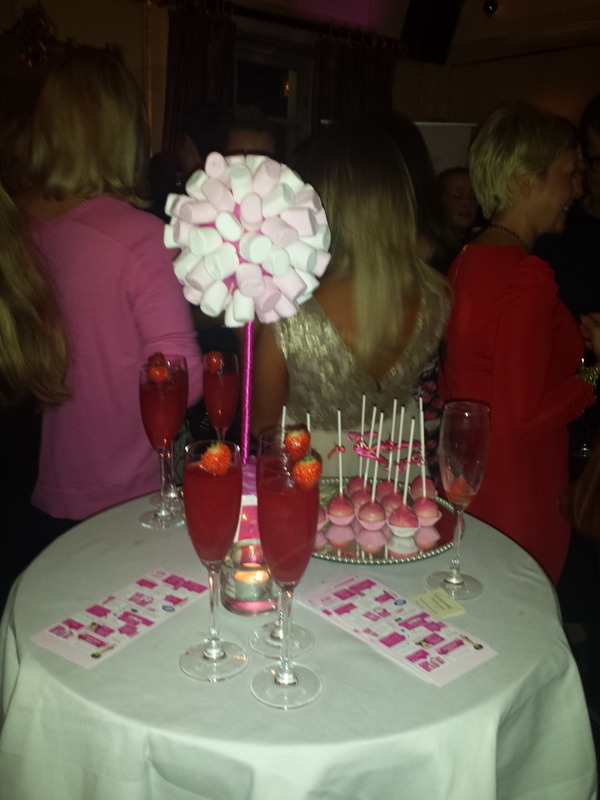 Last week, I was invited, along with some other beauty bloggers, to the Cocoa Brown Tan First Birthday Celebrations held by Cocoa Brown creator Marissa Carter in the stunning Residence Members Club in St. Stephen’s Green. 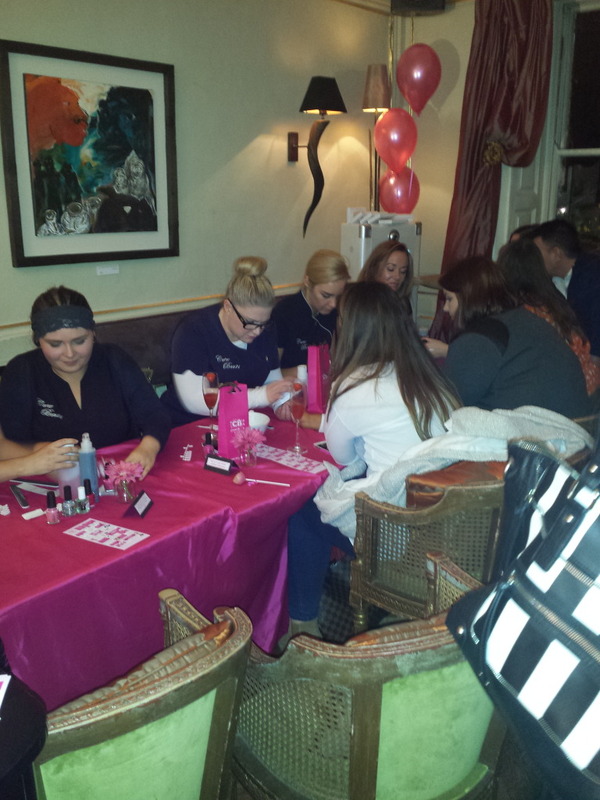 There were also some well known faces in attendance such as Rosanna Davidson, Siobhan O’Connor and Amanda Brunker to name but a few. Marissa, who has just won the IMAGE Magazine Start-Up of The Year 2013 Award, looked stunning on the night and she gave a little speech to thank everyone for their support and said that she was delighted with the success of Cocoa Brown and had big plans for 2014 including heading to Hollywood to be the offical tan of The Oscars, how amazing is that?! And all that success in the space of a year which is pretty astounding and very admirable it has to be said. 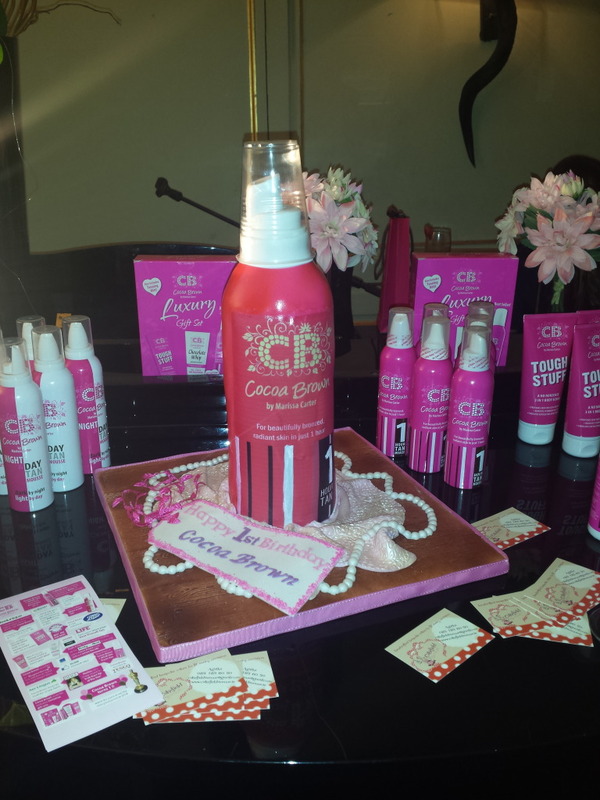 Selling at all the major retailers including Boots, Tesco, Superdrug and now even on Aer Lingus flights, Cocoa Brown has been the Irish success story of the year. Everyone and their mother has heard of Cocoa Brown Tan now at this stage and if you haven’t tried it yet you really should, it’s fantastic and so reasonable at just €7 a bottle! Adding to the Cocoa Brown family of products has been the new Tough Stuff scrub which now comes in a handy tube and takes every last bit of your false tan off, I did a review here. As well as Chocolate Whip oil free body moisturiser which moisturises while prolonging your tan. You can also get a little gift pack just in time for Christmas which includes the 1hr Tan, Tough Stuff and Chocolate Whip. We all got a little 100ml travel sized bottle of Cocoa Brown Tan which is the only tanning product being sold on all Aer Lingus flights, so no excuses for pasty skin on your hols! 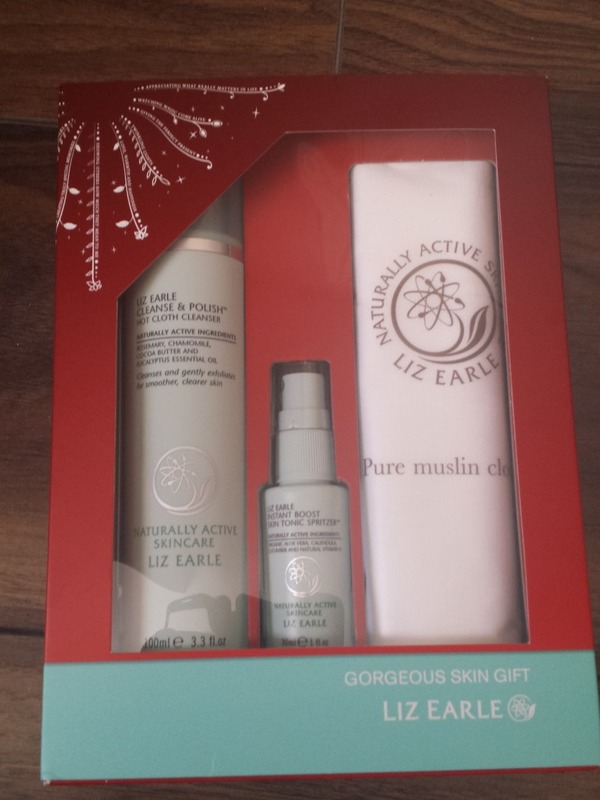 I’m totally in love with the Liz Earle cleanse and polish line of skin cleansers with their muslin cloths and this set comes with a full size Cleanser, 2 muslin cloths and a mini spray toner. These sets contain some brilliant skincare and it’s almost half the price of what it would be if you were to buy all these products individually so you’re making a good saving. Great for any skincare lover. 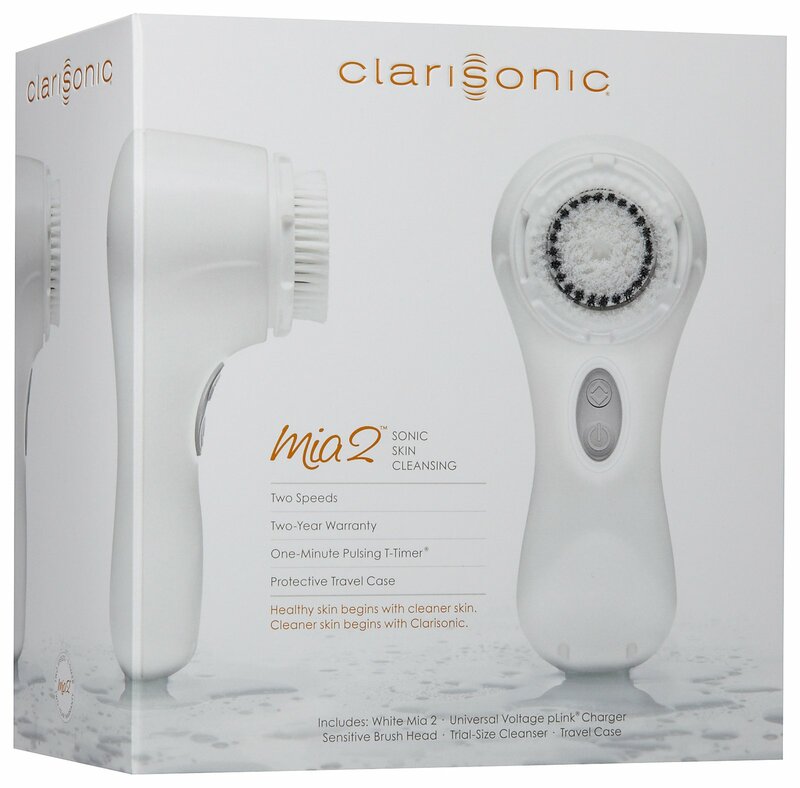 The Clarisonic Mia2 is a facial cleansing device which uses patented sonic technology to gently remove the impurities traditional cleaning methods leave behind, cleansing six times better than your hands alone. And best of all it works in only 60 seconds to remove impurities from pores so that creams, serums, and moisturisers are more effective. 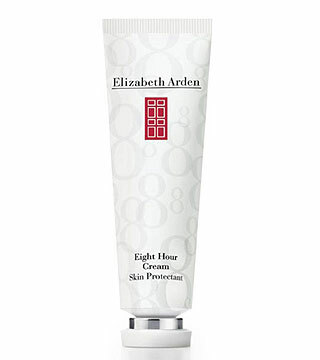 And with regular daily use you’ll notice a reduction in dry patches, oily areas, and blemishes. A must have for anyone with problem skin, male or female. 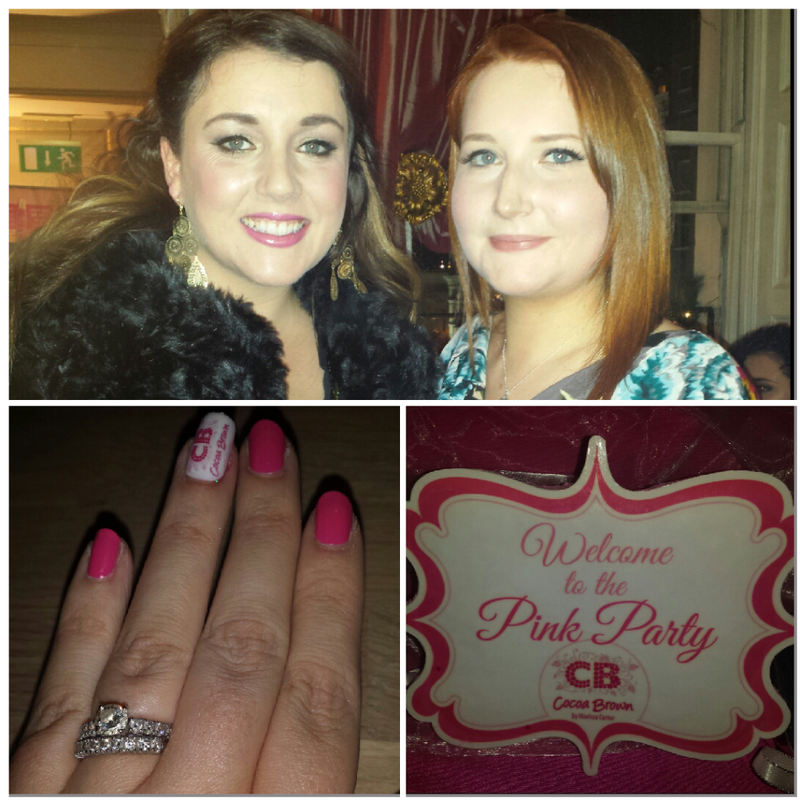 Staying with the Irish companies (as we really should be supporting our own this Christmas!) This is the limited edition Elite Travel Set from Nima Brush. I’ve reviewed these brushes before here and they really are fab and very reasonable for the price. 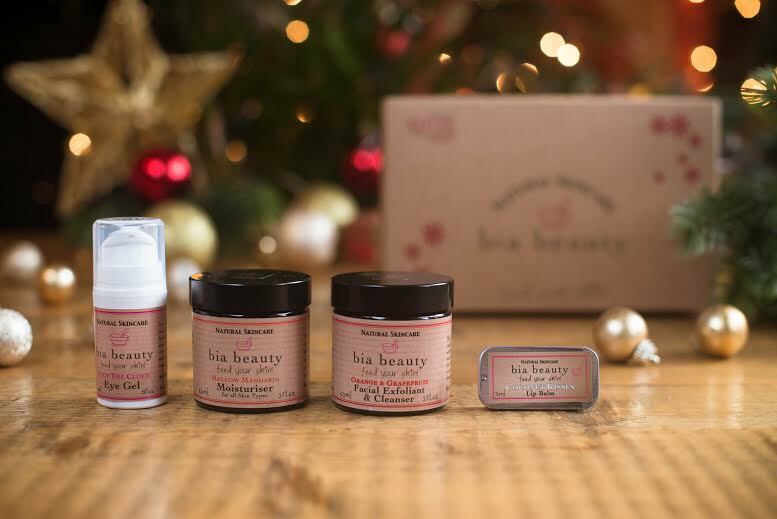 Whether you’re someone only starting out in makeup or a complete pro, you would do well to have these in your kit so they’d make a great Christmas present for any lucky lady, young or old. 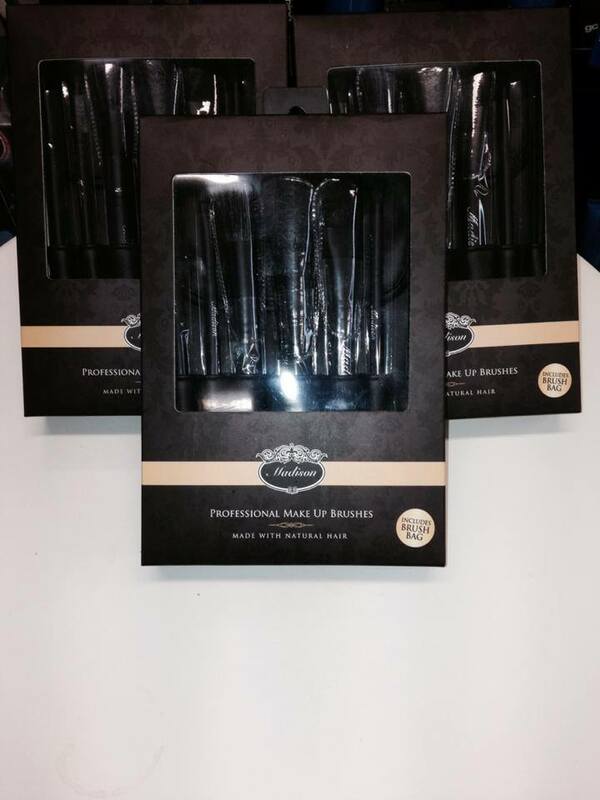 This 7 piece brush set (again from an Irish company Madison Makeup!) have just been launched and will be sure to fly off the shelves for Christmas. 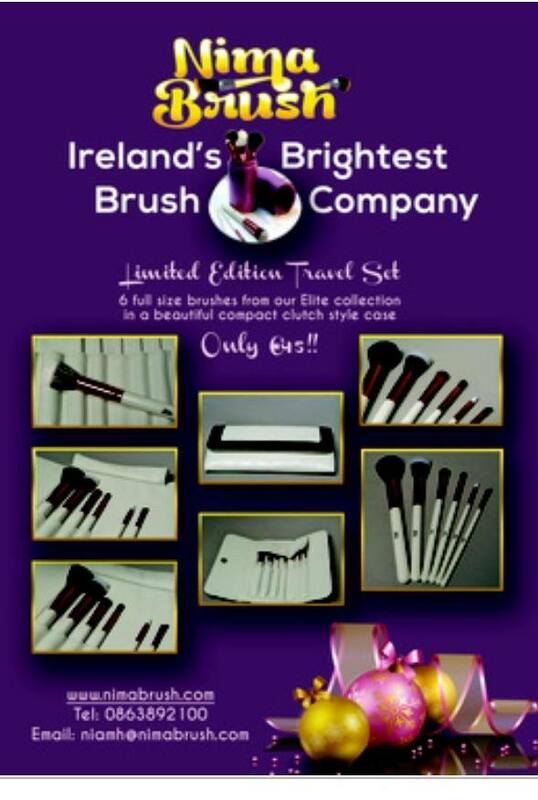 You can get these excusively at The Cosmetic Outlet Dublin but if you can’t reach there you can order over the phone. Get them quick before they’re all gone! 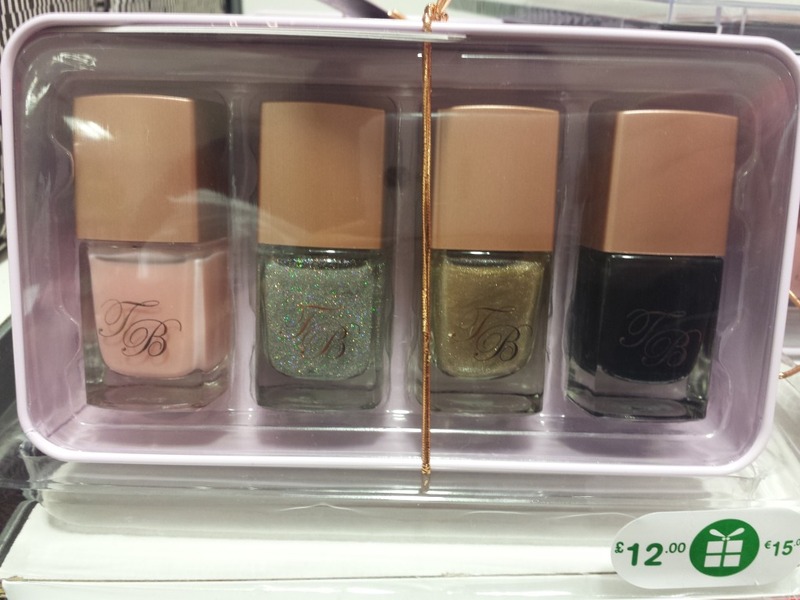 I always love the nail gift sets that Ted Baker bring out at Christmas and this is no exception. A great stocking filler! Lastly, no Christmas gift guide would be complete without a perfume set and this Marc Jacobs one is defo on my list this year! 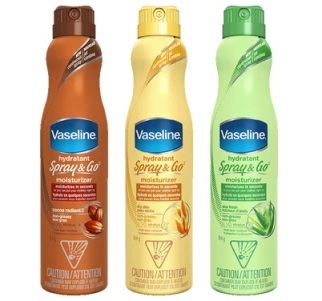 You get the body wash and lotion free with this one so it’s great value. I love the smell of this, it’s perfect for day or night and you can really layer the fragrance. So that’s it, some inspiration for if you’re doing any Christmas shopping this week. Be sure to check out my makeup gift guide as well here. 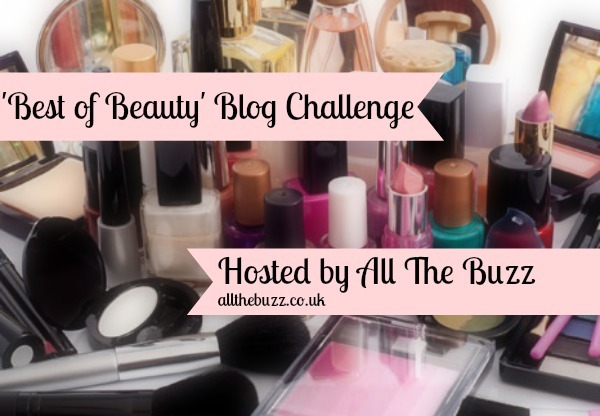 I popped into the new beauty hall in Marks & Spencer, Dundrum recently for a browse – if you haven’t checked it out yet, you soooo should, but maybe not on payday…. don’t say I didn’t warn ya!! 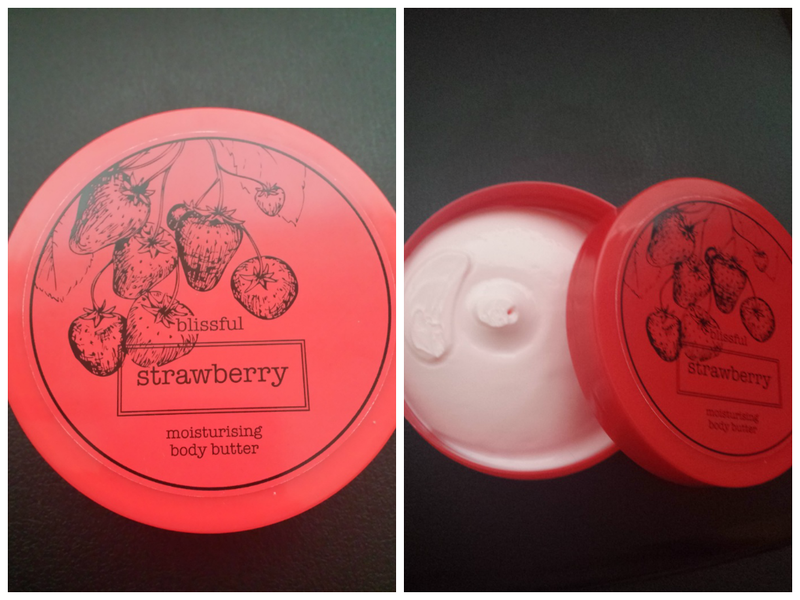 So while wandering round drooling at all the gorgeous beauty stuff there, I came across their range of Body Butters which are an absolute steal at €7! After sniffing & trying them all (has to be done!) I decided to buy this lovely Strawberry one. They also had Cocoa Butter, Shea, Zesty Lime, and Peach and Almond to name but a few, so there’s really something for everyone. Coming into the colder weather, you can’t beat a good body butter after a shower, it gets down really deep into your skin to moisturise it. It’s also great for prolonging your fake tan application. 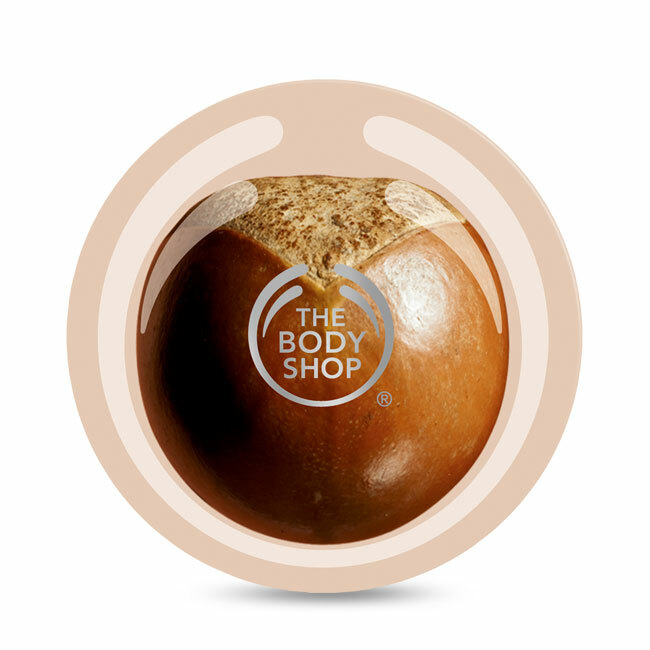 An added bonus is that this smells amazing and lasts for ages on your skin. They also have matching shower gels and bath foam if you fancy the layered fragrance effect. They would actually make a great pressie too. One beauty related thing I hate doing is applying body moisturiser, it just takes so long! I ain’t got time to stand there covering every inch of my body in lotion then waiting for it to sink in so I can get dressed. 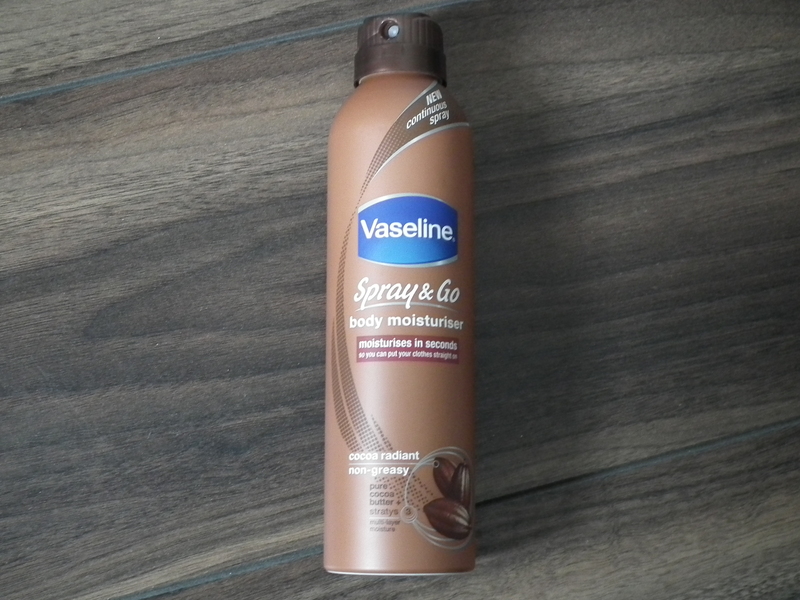 Luckily Vaseline felt my pain and have brought out a new spray body Moisturiser which is a pretty genius idea! The one I got was “Cocoa Radiant” and I’m really liking it. You press the nozzle and out comes a continuous fine mist of the moisturiser which is distributed evenly all over your bod. You can turn the bottle any which way and it’ll still spray AND you can get hard to reach, often neglected areas like your back. You do have to pat the moisturiser into your skin afterwards but that doesn’t take long so it still saves you time. It contains Cocoa Butter, smells like chocolate (that alone is reason to buy it!) and the smell lingers all day. Plus your skin feels well moisturised and looks radiant but doesn’t feel a bit sticky or greasy so you can get dressed straight away. 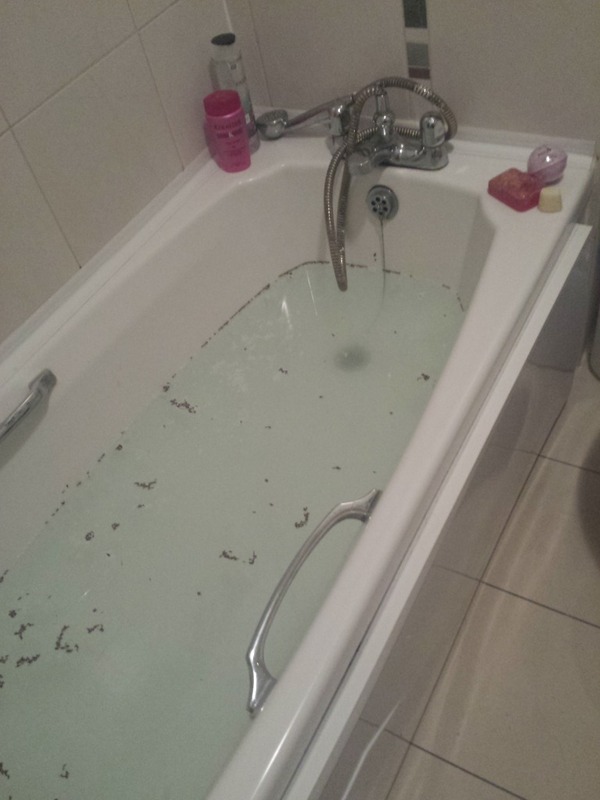 You have to put a large towel down on the floor underneath you or the spray will get all over it and if you’ve got wooden or tiled floors this is not good believe me! I nearly went skiing a few times before realising this! Although the spray can looks big (it’s 190ml), it really doesn’t last very long. I only got 2 weeks out of mine which was disappointing. That’s down to the continuous spray action when you apply it. Because it sprays everywhere and not just on your skin, a lot of the product is wasted, which is a shame. There are 2 other types in the range, Essential Moisture with Pure Oat Extract and Aloe Fresh with Aloe Vera (so really soothing for the skin) and they cost €6.15 from Boots and other Pharmacies. Despite my gripes, I have to say that this is a really good moisturiser and I would probably purchase again and just use when I’m in a hurry ‘cos it’s perfect for that. What do you think of this? Also is there anything beauty related that you just hate doing?